Why isn't my e-Transfer from CIBC being processed? CIBC has a few methods of notifying who you're sending funds to. 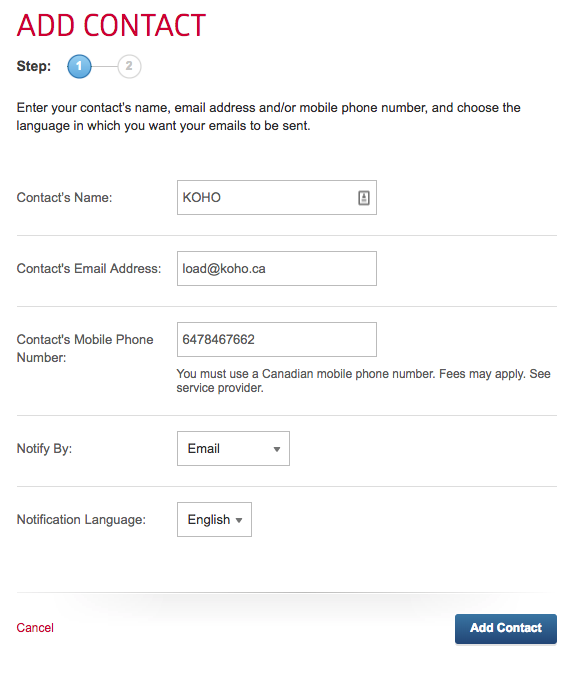 If you're sending an e-Transfer to KOHO from your CIBC account for the first time, you'll be asked to provide the Contact's Mobile Phone Number and be asked how you want to notify the recipient. Please ensure that the "Notify By" dropdown menu is set to Email, not phone. That way, when you send the funds to load@koho.ca, we'll receive the notification and we'll be able to deposit your e-Transfer!